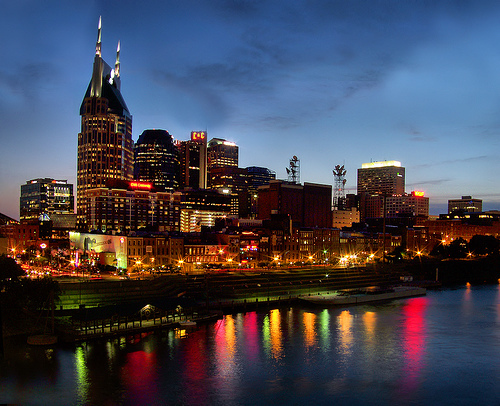 Nashville, Tennessee, is the capital of the state as well as its second largest city. It lies on the Cumberland River, and has tons of nice parks, riverwalks and Civil War sites for people to visit. 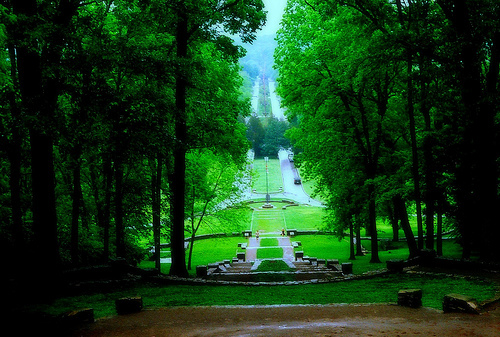 It is also home to the Grand Ol Opry, and lots of country music events take place there. 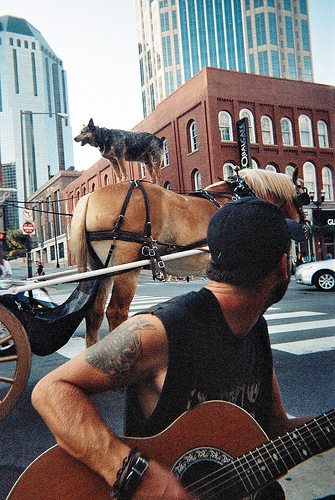 There are plenty of great places to go with dogs in Nashville, especially outdoors. This old fort was built by white settlers in 1780, which protected them from the natives. People and leashed dogs can go on self-guided tours of this historic fort from 9:00 AM-4:00 PM. Dog owners should bring waste bags. This fort is located within Riverfront Park. Fort Negley was the largest fort built by the Union during the Civil War. It is open Tuesday through Friday from 12:00-4:00 PM, and on Saturday from 9:00 AM-4:00 PM (and by appointment). Leashed dogs are allowed on the grounds but not in the building; owners should bring waste bags. There are a few different ghost tours offered by this company, and leashed dogs can accompany you on the downtown Nashville tour. There are costumed, professional guides that take you on 90 minute tours downtown, and stop at places like the Tennessee State Capital and President Polk’s Tomb. These tours run seasonally. This is a large nature center that has many trails and fields to explore. Leashed dogs can join you. This great trail goes for a mile, connecting the downtown waterfront area to the Tennessee Bicentennial Mall to the farmer’s market. It goes on both parts of the river; dogs can join you on leash. This downtown area is full of fun stores, along with events like concerts, art shows and other live entertainment. There are also places to eat and historic sites. Dogs can walk around with you on leash, and eat at some of the outdoor seating places; you must ask the individual stores’ staff if your dog can come shop with you. This place has tons of craft beers, as well as American-style food like salads, soups, burgers, pizza and chicken. Dogs are allowed to sit at the outdoor tables. This restaurant is located in an old blue house, and has a diverse selection of food that is inspired by cuisines anywhere from the Caribbean to the Far East. There is also a full bar. Dogs are allowed at the outdoor tables. This place is focused on its pizzas, but also serves pastas, salads and other types of food. Dogs are allowed to join you at the outer tables. Pure Water for You and Your Pets! Last year the notorious Nashville Stray Dogs Jazz band played the Wilson Co. New Leash on Life “Bark In The Park” fundraiser to benefit the no-kill animal shelter/adoption center in Lebanon. On Saturday, May 5th, the band will play tunes by Gershwin, Mancini, Jobim, Miles Davis, and Monk, all guaranteed to soothe the savage beast within. All dogs welcome. Adults $5, children $1, under six, free. Players include Ned Ramage, guitar, Don Fishel, flute, Jonathan Mosley guitar, Wayne Renardson, acoustic bass, Sam Frazee, guitar, Bob Ervin, trumpet, Dennis Burnside, piano, and Hugh Bramhall,drums. Bark In The Park is held at the James E. Ward Agricultural and Community Center, a 267 acre setting at 945 Baddour Parkway Lebanon, TN. Bark begins at 11am and continues throughout the afternoon. The Stray Dogs will play from 1 until 3pm. This is a great family event with dogs and other animals galore so we hope you can make this fun gig. Bring your children and dogs to enjoy a great romp in the park.